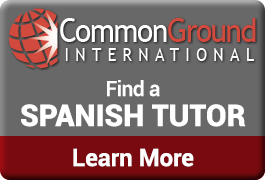 The Spanish comprehension section of this app is modeled after the AP Spanish Language Test comprehension sections to help you with your test prep. 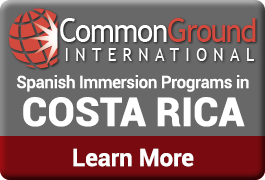 Practice reading comprehension and listening comprehension in Spanish with over 30 authentic activities built specifically to help you improve your Spanish comprehension. Spanish reading and listening comprehension activities are difficult to do, and rarely do you get enough practice in your Spanish class. Now you can test your reading and listening comprehension with authentic fiction and non-fiction texts and audio samples. Many of the comprehension activities focus on culturally relevant topics as well; great for building cultural fluency! Dictionary integration with reading comprehension. Long-press any word and translate it to improve your comprehension! Flashcard integration with reading comprehension. Long-press any word and add it to your flashcards for easy studying! Spanish Comprehension is essential to communication in Spanish! If you’re an advanced student, there is no better way to improve your AP Spanish test scores and prepare for your AP Spanish test than to practice! 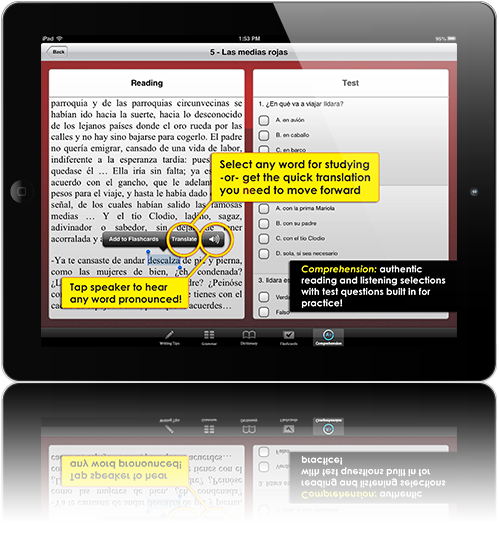 Get the High School Spanish app today to start practicing your reading and listening comprehension in Spanish.